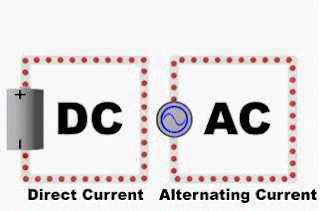 There is a difference in output from Alternating Current (AC) measurements and Direct Current (DC). To show the difference, we used a load cell simulator on two different meters. We used a simulator that was tested at the National Institute of Standards and Technology (N.I.S.T) as the reference. This simulator was utilized to accurately replicate the excitation and output response of a load cell when connected to the meters in the experiments. On the DC meter side, a Fluke 8505A Reference Multimeter was used, and on the AC side, a HBM DMP40 Precision Measuring Instrument was used. The differences between the simulator set point value and measure values by the meters are reported in the table below. In this table, the first column represents the set point values. Note: If we wanted to standardize a Morehouse 4215, or Morehouse DSC meter, we would use the N.I.S.T. values. At -3.00000 mV/V we would enter -3.00010 as we want to standardize the meter to repeat the N.I.S.T. value of -3.00010 when -3.00000 set point, is selected. Looking at the test data above, it appears the difference between AC and DC mV/V can be quantified between these two very high end meters and the difference is about 0.003 %. As depicted in the chart below, the DC meter output consistently involved higher differences when compared to the AC meter. The importance of this blog is to show an AC meter cannot be interchanged with a DC meter as the difference between AC and DC measurements, is most likely not linear. 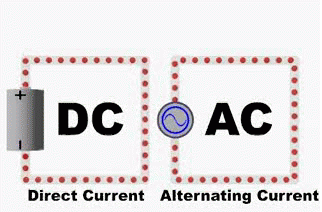 If a lab is using a DC or AC meter as a reference, the measurement traceability can only be derived from the type of current used by the reference lab. AC and DC meters are not interchangeable and one cannot be substituted in lieu of another one without requiring calibration of the entire system. Note: This blog is comparing two very different meters and does not represent what is likely to happen in all AC versus DC comparisons. The point of this blog is to demonstrate that any indicator being substituted may need to be thoroughly tested to know the additional contribution to measurement uncertainty and that AC meters may produce entirely different results than DC meters.